A Day On The Green ft. Elton John may be the upcoming event you’re looking for. John Farnham returns to A Day On The Green to play 'Whispering Jack'. John Farnham’s iconic 'Whispering Jack' may be one of the most successful Australian albums of all time, but it’s so much more than that. It’s a record that is indelibly marked in Australia’s collective consciousness, an album that means a lot to so many people. In news that will thrill fans across the country, it’s time to relive all that this summer when the man himself performs songs from 'Whispering Jack' for a special series of a day on the green concerts. John and his amazing band will play the much-loved 1986 album, plus a selection of other greatest hits. 'Whispering Jack' was released in 1986. It had a profound effect on Australian music. It was the first local album to sell more than one million copies, it held the number one position on the charts for a staggering 25 weeks, sold a remarkable 24 times Platinum, won every award going and produced a bona fide Aussie anthem in 'You’re The Voice'. It remains the highest selling Australian album of all time by an Australian artist with more than 1.7 million sales. The 19-time ARIA Award winner and all-round top bloke continues to be “The Voice” of Australian music, stunning audiences with his onstage charisma and those incredible vocals. 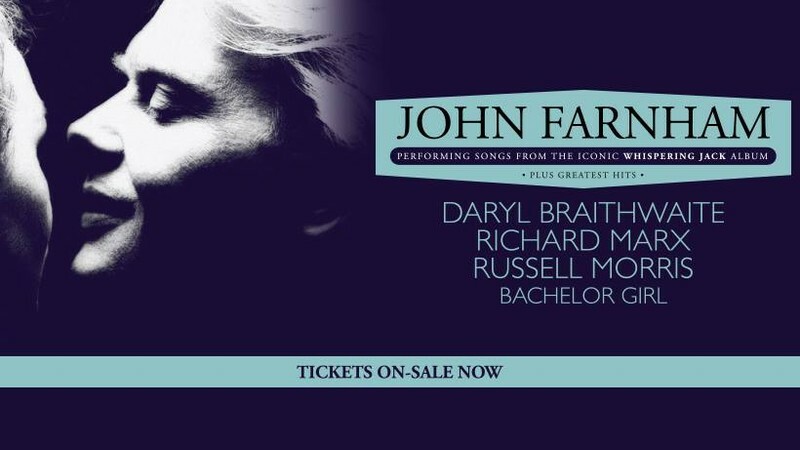 John has had an extraordinary career with hits in six decades, and in 2013 was voted Australia’s greatest singer of all time by a panel of his peers and the general public. Joining John will be a stellar cast of guests—Daryl Braithwaite, US singer/songwriter Richard Marx, Russell Morris and Bachelor Girl.